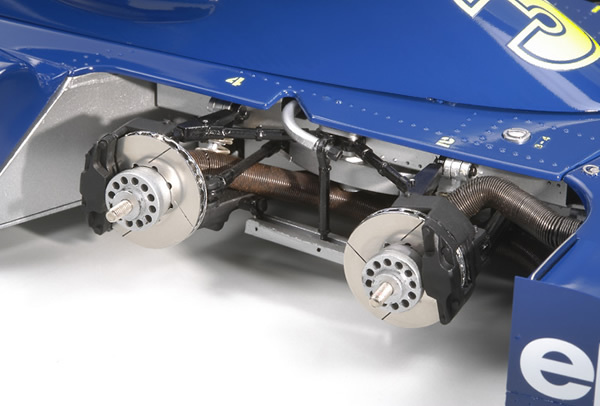 << Back TAMIYA "Tyrrell P34 Six Wheeler w/Photo Etched Parts"
TAMIYA "Tyrrell P34 Six Wheeler w/Photo Etched Parts"
Arguably the most radical design ever to compete in Formula 1, the Tyrrell P34 caused a sensation when it was revealed to the public. The car's designer, Derek Gardner, wanted to reduce drag by making the frontal area smaller, so instead of two normal-sized tires he used four small diameter tires that could be steered together. This also meant that the tires would be shrouded by the nose, further reducing drag. Making its debut at the 1976 Spanish GP, the car proved to be competitive, and it reached the pinnacle of its success with drivers Jody Scheckter and Patrick Depailler finishing 1st and 2nd respectively at the Swedish GP. 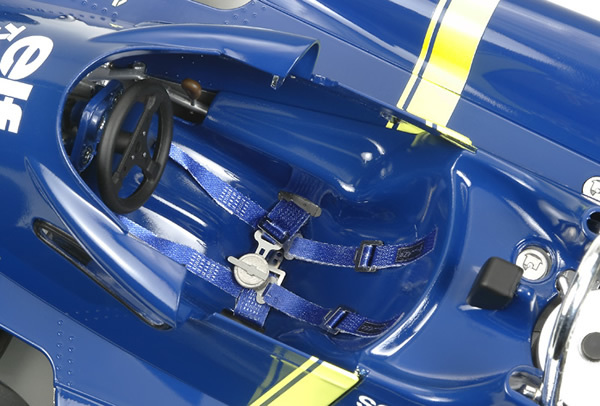 *1/12 scale assembly model kit of the Tyrrell P34 F1 race car. *Distinctive 6-wheeled suspension design accurately reproduced and fully movable. *Meticulously-detailed engine comes complete with a full array of tubing and cables for the ignition system. Realistic synthetic rubber tires. 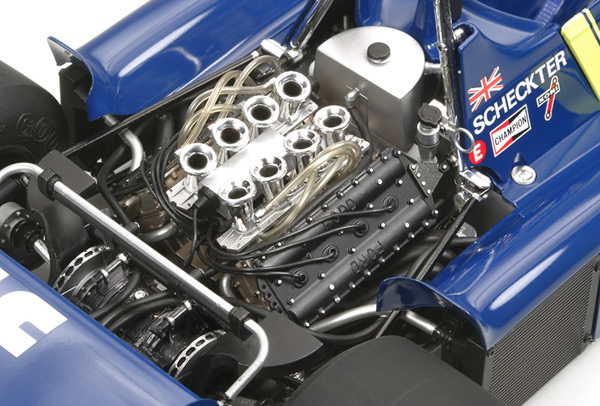 Parts also included to depict radiator and oil cooler pipes for an even higher level of detail. *Includes a comprehensive set of photo-etched parts such as brake discs, radiator grille, pedals, and seat belts for the ultimate finish. 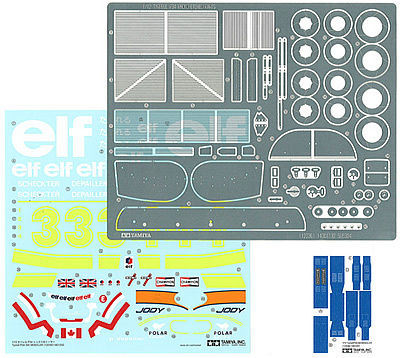 *High-quality Cartograf markings for machines driven by Jody Scheckter and Patrick Depailler also included.